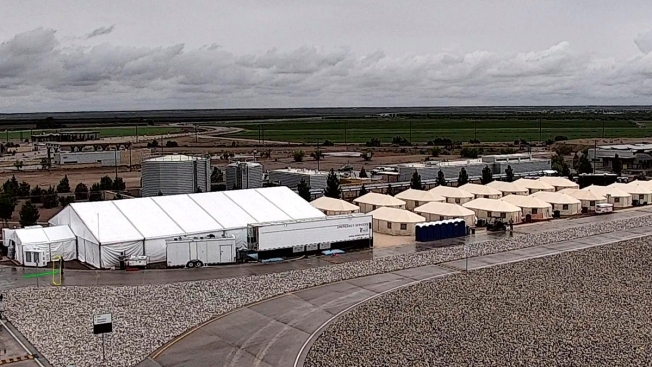 This undated file photo provided by HHS' Administration for Children and Families shows the shelter used to house unaccompanied foreign children in Tornillo, Texas. The U.S. government says the West Texas tent shelter will remain open through the end of the year. A spokesman for the U.S. Department of Health and Human Services said Tuesday, Sept. 11, 2018, that the facility will be expanded to 3,800 beds from its initial capacity of 360 beds. 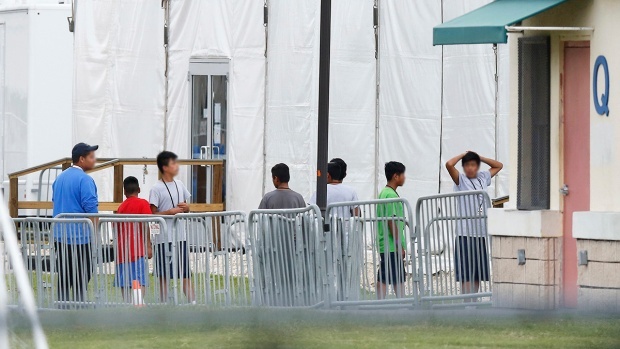 The U.S. government will expand its tent shelter for immigrant minors crossing the southwest border to 3,800 beds and keep it open through the end of this year, an agency spokesman said Tuesday.